Presidential candidate Mitt Romney on Tuesday rejected the notion that President Obama was not born in the United States, emphasizing that "I think the citizenship test has been passed." The former Massachusetts governor, in an interview with CNBC's Larry Kudlow, said he thought there were legitimate reasons to want Mr. Obama out of the White House - but that "birther"-inspired claims were not credible. "I think the citizenship test has been passed. I believe the president was born in the United States. There are real reasons to get this guy out of office," Romney said, the day after formally announcing the formation of a presidential exploratory committee. Despite the fact that disputes over Mr. Obama's citizenship have long since been discredited, the issue has been in the news lately as Donald Trump, the billionaire, reality television star and potential presidential candidate, has made the media rounds espousing his newly-adopted birtherist perspective. Romney, however, chose to hit Mr. Obama on his economic record rather than his U.S. citizenship. 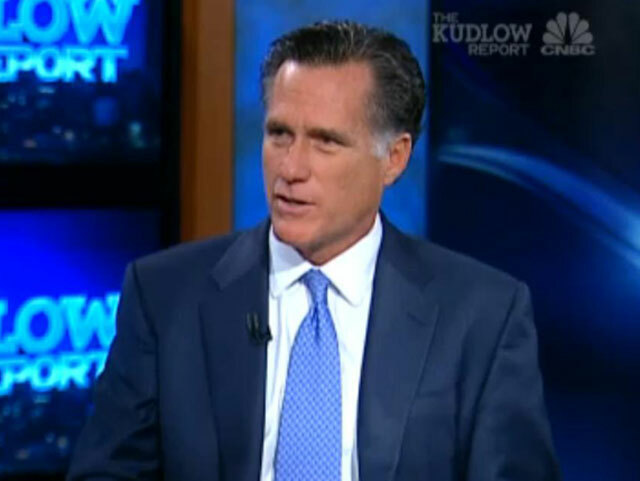 "Look, when it comes to the economy, the president has been incompetent," Romney t old Kudlow. "He just hasn't done what is necessary to get Americans back to work. You've got roughly 20 million Americans who stopped looking for jobs or can't find work, and that's inexcusable in a nation that's as productive and innovative as this nation." "Overwhelmingly, his people come from academics and from politics," Romney continued, of the president's staffing choices. "He doesn't...he doesn't have the confidence in the private sector people that you need to give him the help on the economy that he needs." When asked about the health care reform bill he enacted while serving as governor of Massachusetts, Romney reiterated his standard line of defense on the issue. "One thing I learned is this, which is that you don't take ideas from a state and try to impose them on a whole nation," he said.